Mange is a serious problem for dogs. The good news is that it can be cured, and there are some simple home remedies for mange that can be applied, or used in prevention. Mange, also known as canine scabies is caused by mites that burrow under the dog’s skin causing itching, irritation, and hair loss. Sarcoptic mange that is caused by Sarcoptes scabiei mite is a common form of mange, and it highly contagious. It is passed from one dog to another by close contact, and can even be spread to humans and other pets. Demodectic mange, also known as demodicosis or red mange is another common form of mange found in dogs that is caused by these tiny red cigar-shaped Demodex canis mites. The Demodex mite is a natural occurrence but becomes a problem when a dog suffers suppressed immune system and can no longer keep the vermin under control. It is also important to note that Demodectic mites are not limited to dogs; cats are also susceptible to a Demodectic mite infestation, but it is much less common. Localized Demodectic Mange - This kind of mange affects certain body parts, and the most common are the face. It will appear as a small patch of lesions around the face of the dog, and is most commonly seen in puppies. Generalized Demodectic Mange - This involves larger areas of the skin, or can even cover the entire body. This type of mange can create secondary bacterial infections with severe itching and a bad smell. This kind of mange can be tough to resolve. Demodectic Pododermatitis - Pododermatitis means inflammation of the skin that involves the paw. This occurs between the toes and the pads of the feet. A dog with demodectic pododermatitis has a swollen paw with a presence of skin infection. 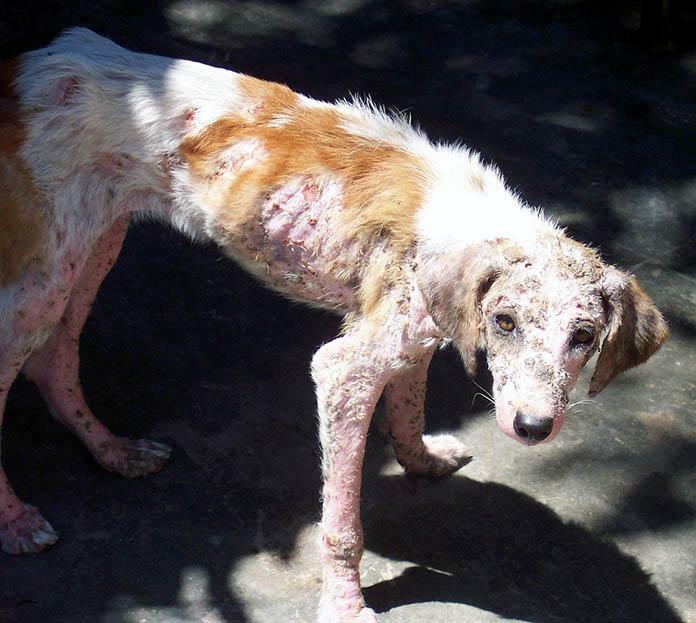 What are the Effects of Mange? Mange can cause irritation leading to the dog scratching more than usual. You might notice your dog rolling around, or constantly rubbing up against stationary objects more frequently. Often mange goes undetected until the dog starts to show more visible signs of complications. Hair loss, reddened skin and body sores because of the intense scratching is the most noticeable effect and is usually caused by allergic reaction to the mite. This can lead to complications such as secondary bacterial infections. Bacterial infections are common with mange, especially if left untreated. This can lead to more severe issues, and should not be taken lightly. It is important to note that if your dog has an infestation of the natural occurring Demodex mite, then it could be a sign of a more serious immune deficiency problem with your dog. Demodectic mange is a natural occurring thing in pets; it is when they become overpopulated that it becomes a problem. Demodectic mites are not contracted by environmental factors or transference. In other words, Demodectic mange is not contagious. Sarcoptic mange can be contracted not only by transference from other animals but environmentally as well. Taking your dog to a pet sitter, Veterinarian, kennel, or other places that pets are treated or cared for can put your dog at risk for catching Sarcoptic mange. Please note that these places are aware of this and take precautions, so there is no cause for alarm. It is advisable to ask questions about their procedures to keep your pet safe, and give yourself a little peace of mind. Your Veterinarian can prescribe medication for dog mange treatment, but there are also some effective home remedies for mange that can do the trick, especially if the mange is detected early. These treatments can also be used in prevention as part of the grooming process of your dog. Dog's Meal: Putting one tablespoon of organic raw Apple Cider Vinegar (ACV) in your dog’s meal is an excellent way to cure mites. The downside to this may be getting your dog to eat the food. Mixing small doses in his food on a regular basis can work as a great prevention measure. 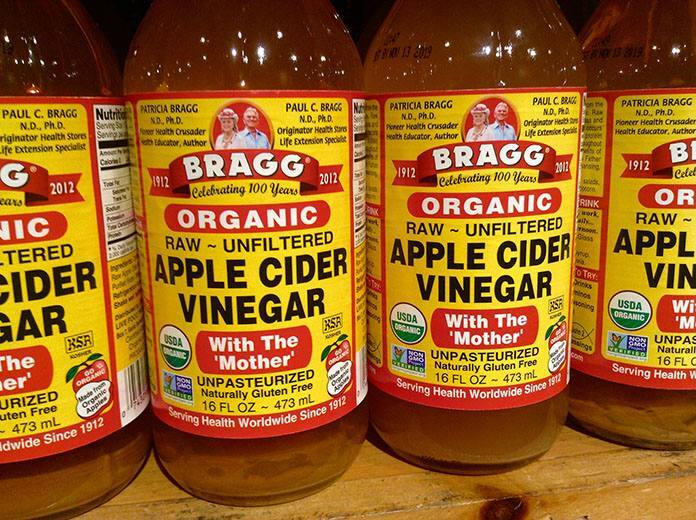 ACV Spray Treatment: Dilute 1/2 raw ACV into 1/2 water and mix, then pour the mixture into a spray bottle. Bathe your dog first then spray the solution directly on his coat and allow to air dry. If your dog doesn't like getting sprayed, put the solution on a cotton ball and rub it on the affected area. Spray or rub the solution 2 to 3 times a day. Be careful not to get the solution in your dog's eyes. Coconut oil is nature's wonder oil because of its many health benefits, and coconut oil is good for your dog. It can help improve your dog's coat, eliminates dog odor, helps aid your dog's digestion, prevent infection, promotes wound healing and much more. To treat mange, pour and liberally apply the coconut﻿﻿ oil in the mange infected areas, especially wherever your dog is scratching the most. 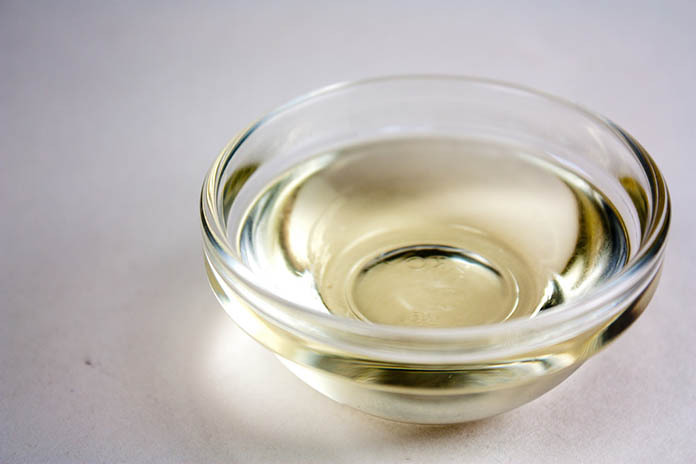 Coconut oil can alleviate the itching and the fat content in this oil suffocate the mites. Repeat this treatment every week or as often as necessary, until your dog grows out his fur to be sure that all the mites and hatched eggs are dead. Organic honey is excellent for treating mange for dogs and puppies. It is a natural humectant that can help soothes the scabs and relieves the itchiness of your dog's reddened flaking skin. Just apply the organic honey directly onto your dog's affected areas. The downside of using honey is the attraction of other pests like ants and bees. 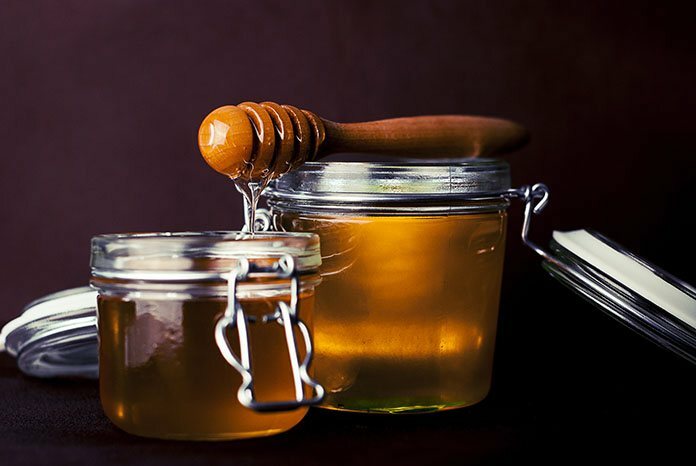 You will want to monitor your dog, keep him inside, and wipe the honey off at night. This is a type of vegetable oil that pressed from the fruit and seeds of the Azadirachta indica (Neem), which is an evergreen native to the subcontinent of India. It is available in many different forms and is a natural insect repellent and pesticide. Dilute the pure neem oil 1:1 in a light carrier oil (e.g. sunflower oil, almond oil, grape seed oil), but if your dog has sensitive skin, dilute the neem oil 1:10. Use the oil mixture 2x a day on your dog's skin. After you apply the oil, monitor your dog closely and if there's any adverse reaction, wash the oil off immediately. Caution: Don't apply pure neem oil in your dog's skin as it is highly toxic and may cause skin irritation. This mange remedy is popularly known as "T﻿ed's Dog M﻿ange Cure." Ted is a famous Earth Clinic contributor from Bangkok. First, prepare the solution, mix 500cc of 3% hydrogen peroxide and 1000cc of warm water, then add 3 heaping tablespoon of Borax powder then stir, leave for a couple of minutes then stir again until the borax dissolve. The solution will have a dark milky look. According to Ted, "The formula doesn't require an exact science. The importance is to add enough borax until the solution is no longer soluble and well past saturation." In other words, you can keep adding borax powder until it no longer dissolves in the hydrogen-water solution. Bath your dog, rinse and dry him lightly. Apply the solution to your dog, covering his entire body. You can use a sponge or washcloth if you like, and be extra careful not to get the solution near the dog’s eyes. You can also use an e-collar to keep the dog from licking the solution until it dries. Important: DO NOT RINSE your dog. DO NOT TOUCH your dog with any towel and let the solution dry by itself. Apply this treatment once or twice a week for at least 6 weeks. If you have any solution left, you can put it in a spray bottle to disinfect your dog's crate or kennel. 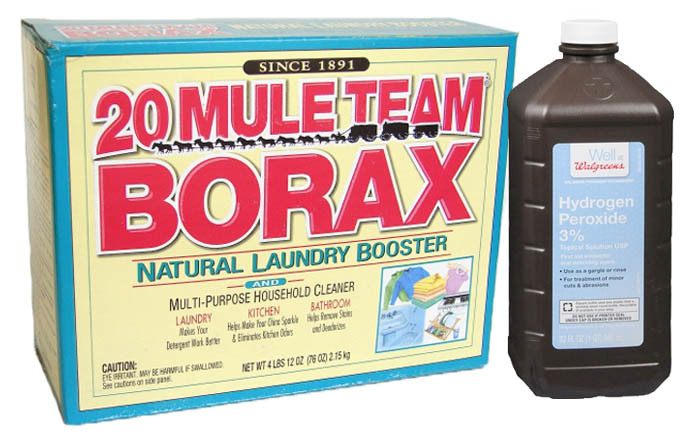 Caution: DO NOT USE BORIC ACID in place of Borax. It is poisonous for your dog. Bath your dog using medicated sulfur soap or sulfur shampoo. Make sure the water is warm enough to open the pores of the skin, this will draw the mites out, and the sulfur soap will kill them. Keep washing your dog for at least 30 minutes, then rinse with cold water, this will close the pores in your dog’s skin and allow the mites to be rinsed away. Do not towel dry your dog, just let him shake it off, and air dry. Then apply the sulfur ointment. Bath him 2 to 3 times a week with the sulfur soap for at least four weeks. The lemon's smell with its high acidic content and the garlic's sulfur compound can help repel mites. 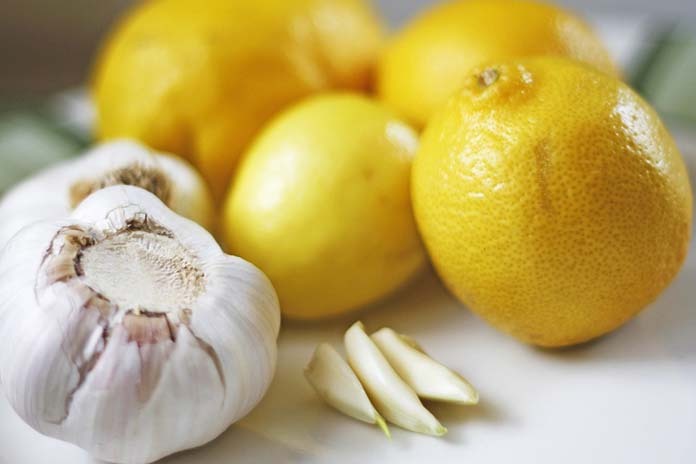 To make a lemon and garlic solution, chop up about forty cloves of garlic, and about 6 lemons with their skin (peel). Put into a pot with about a gallon of water, and bring it to a boil for at least 5 minutes. Let the solution cool and leave it overnight. The next day, apply liberally to your dog’s skin. Do not dry your dog, just let him air dry. Apply the lemon and garlic solution each day for up to 10 days. Yogurt can be applied to affected areas of dog’s skin, especially inside the ears, to handle any discharge or crusting caused by the mange. Gently rub it on in the morning, then wash it off at night. It is advised only to use in areas the dog cannot lick. 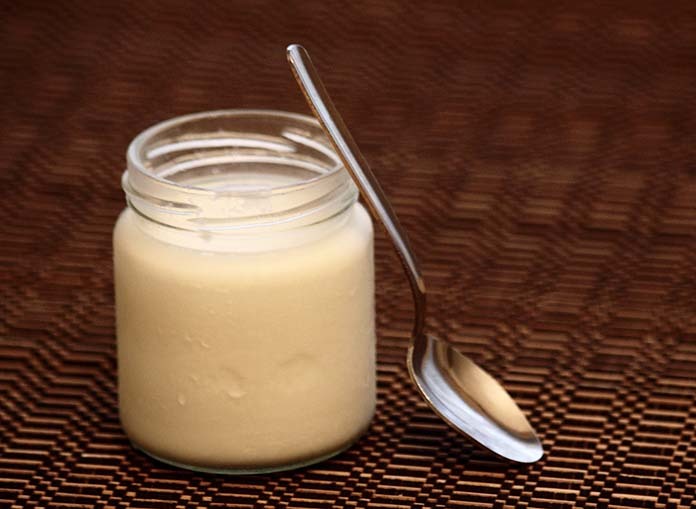 Yogurt can be a tasty treat for your dog, and you don’t want him to lick it off. Liberally applying any of this herbal tea will kill the mites on the skin of the dog, and also help heal the wounds quickly. These teas are natural and cannot harm your dog, so they can be applied several times a day, and remember just to let your dog air dry. 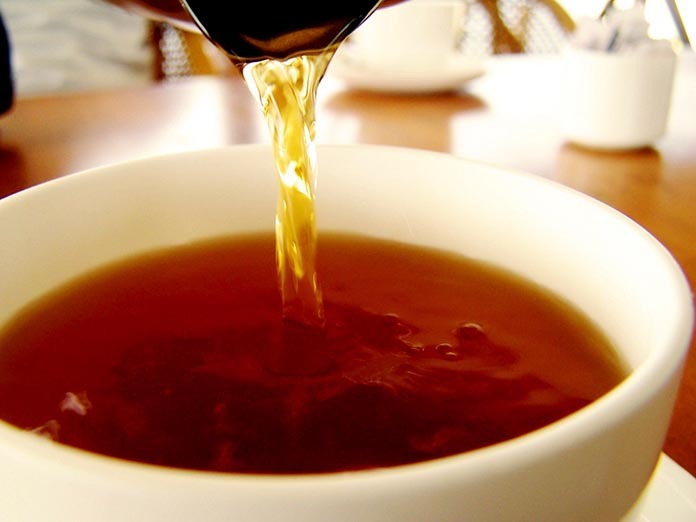 Tea tree oil is an effective disinfectant and antiseptic. It can kill vulnerable scabies mites, as well relieves itchiness and sore spots in your dog's skin. Pour 4 to 6 drops of tea tree oil to your dog shampoo (12 oz to 14 oz), then shake well. Use it to wash and lather on your dog's skin for at least 15 to 30 minutes. Caution: Never put straight tea tree oil on your dog without diluting it. Your dog’s diet can directly affect the immune system, and his ability to fight off parasites. Make sure your dog has a proper diet that contains antioxidant vitamins (Vitamin A, C & E) and good fats, such as an omega-3 fatty acid and omega-6 fatty acid. Essential Fatty Acids (EFA) helps to reduce skin inflammation, fight infection and supports healthy skin and coat. Currently, the recommended ratio of Omega-6 to Omega-3 fatty acids that should be consumed in their daily diet is 10:1 to 5:1. Prevention is probably the best way to keep mange from spreading. As mentioned earlier, asking questions about mange prevention measures of the places that you may take your dog that also services other pets or dogs is always a good idea. It is recommended that any dog with the Sarcoptic type of mange keep the dog quarantined until the mange is cured. This especially goes for people with multiple pets or utilizes pet sitters or kennels. The Sarcoptic scabies mite can survive up to a week without a host. If your pet has Sarcoptic scabies, every area of your home, or other places that your dog has been must be thoroughly cleaned. As they always say,"an ounce of prevention is worth a pound of cure." This is true for preventing your dog, other pets, and yourself from getting mite infestations. I just want to thank you for this post. My dog has mange and suffers for 1 weeks now and Neem oil and Tea Tree oil remedy works for him. He’s mange free!